‘I thank God once again for escaping another dangerous attack. 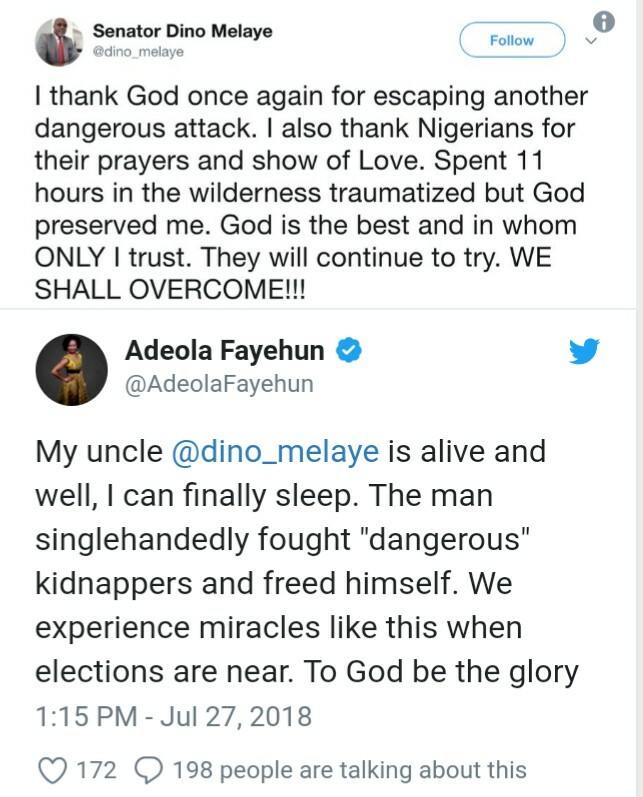 I also thank Nigerians for their prayers and show of Love. 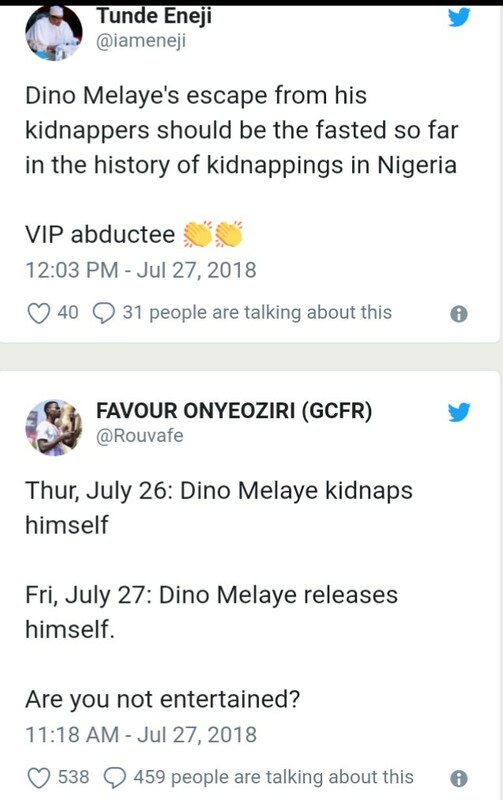 Spent 11 hours in the wilderness traumatized but God preserved me. God is the best and in whom ONLY I trust. 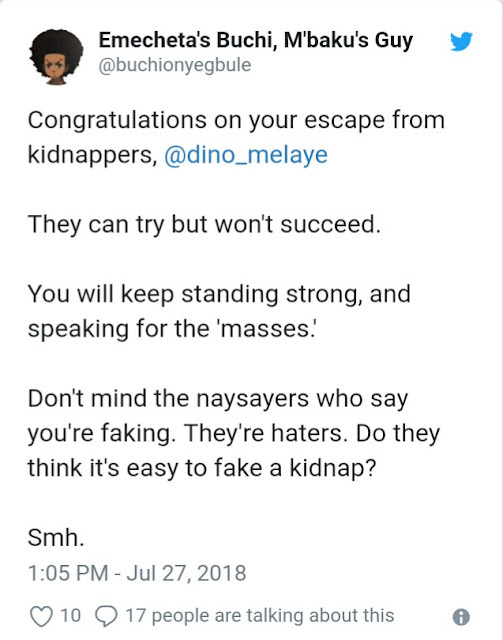 They will continue to try’. 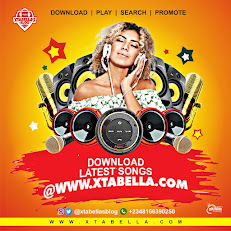 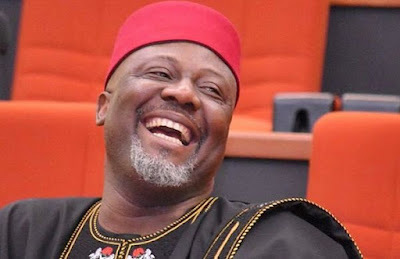 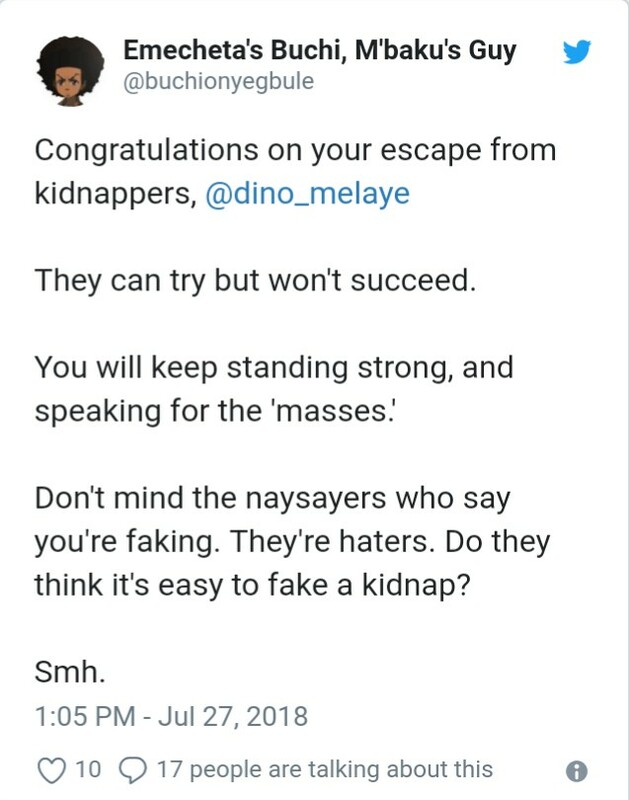 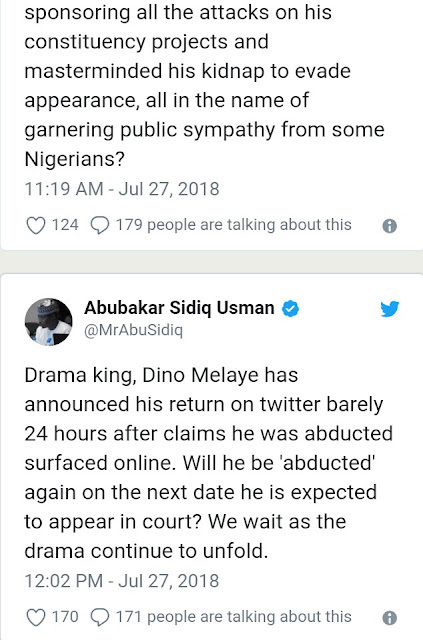 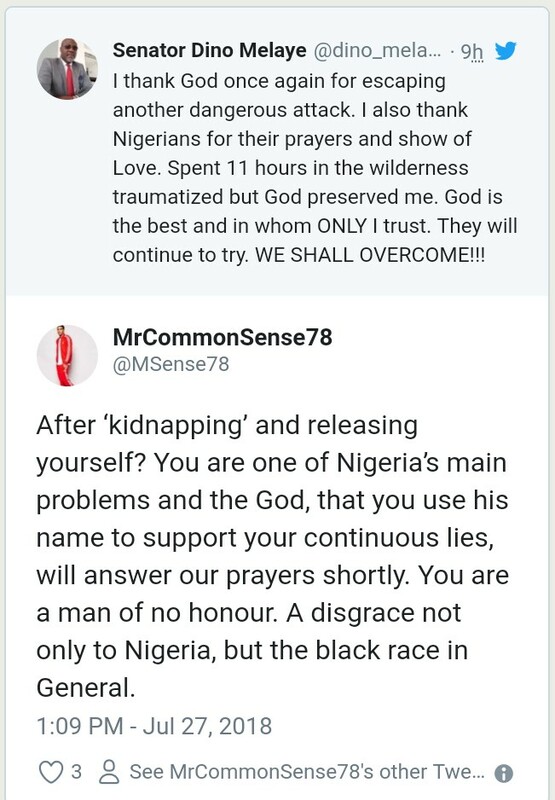 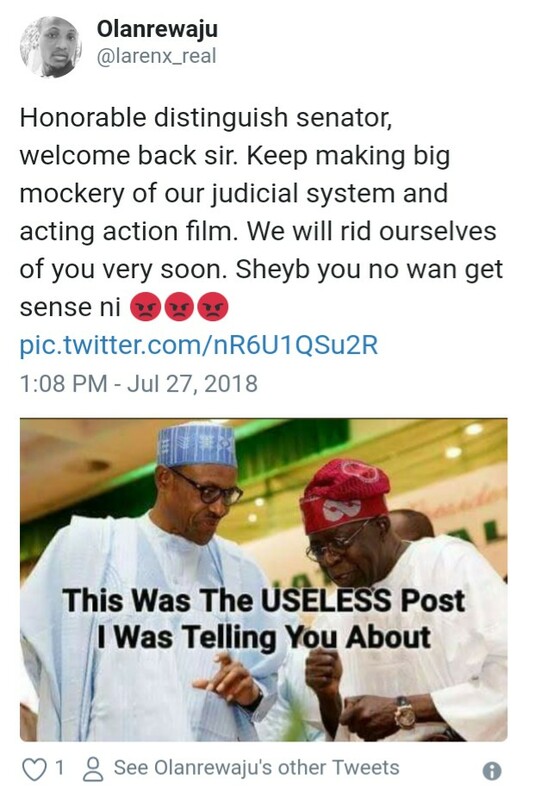 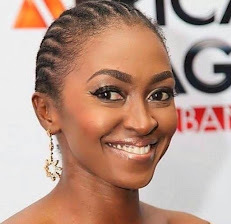 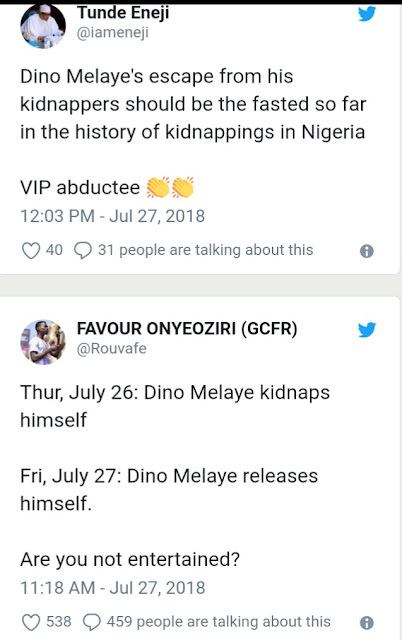 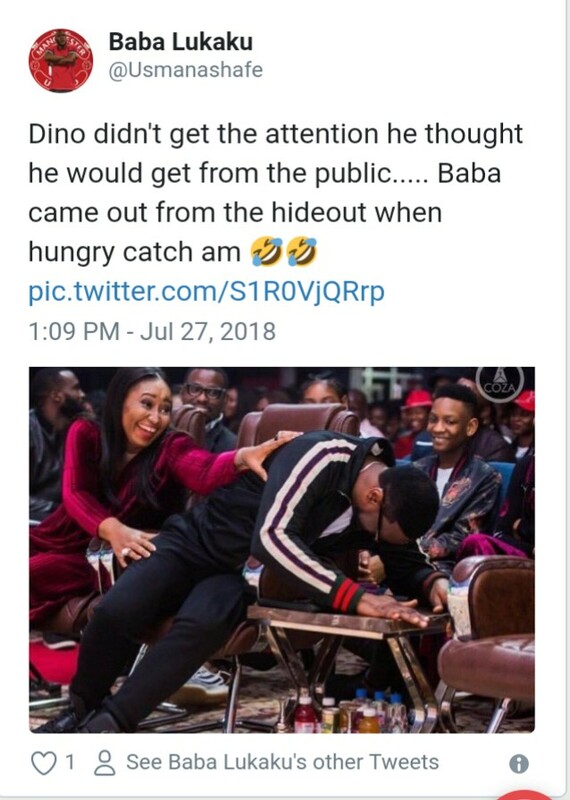 However, Nigerians are not buying the ‘kidnap’ story and social media is currently on fire with mixed reactions to his story.